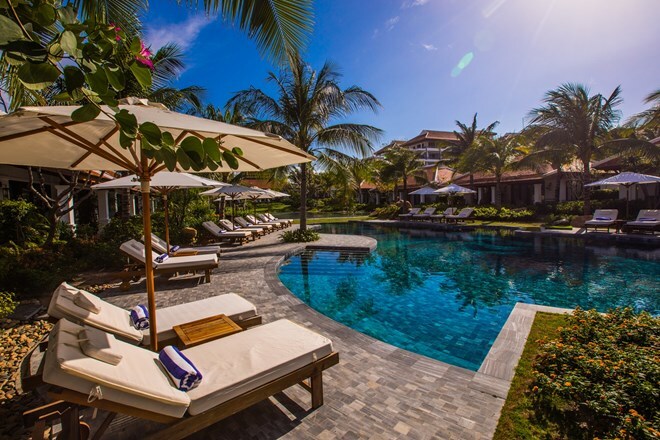 Hanoi (VNA) – The five-star Anam resort, located in the Cam Ranh Bay of the central coastal province of Khanh Hoa, was listed among world’s hot new hotels by the travel magazine Conde Nast Traveller India. The magazine said visitors could enjoy a true holiday and take shelter from the stressful modern life at the Anam. It noted that less than one hour by flight from the Ho Chi Minh City and near the resort city of Nha Trang, the resort has villa roofs that recall Hue’s imperial palace, along with Asian accents such as lanterns and vases and three large swimming pools. Khanh Hoa and its resort city Nha Trang are among Vietnam’s most popular destinations thanks to beautiful beaches and islands alongside friendly locals, the safe environment and affordable prices. This year, the province hosted several international and national events, notably the first 2017 APEC Senior Officials Meeting, Nha Trang – Khanh Hoa Beach Festival and the Ponagar Temple Festival.